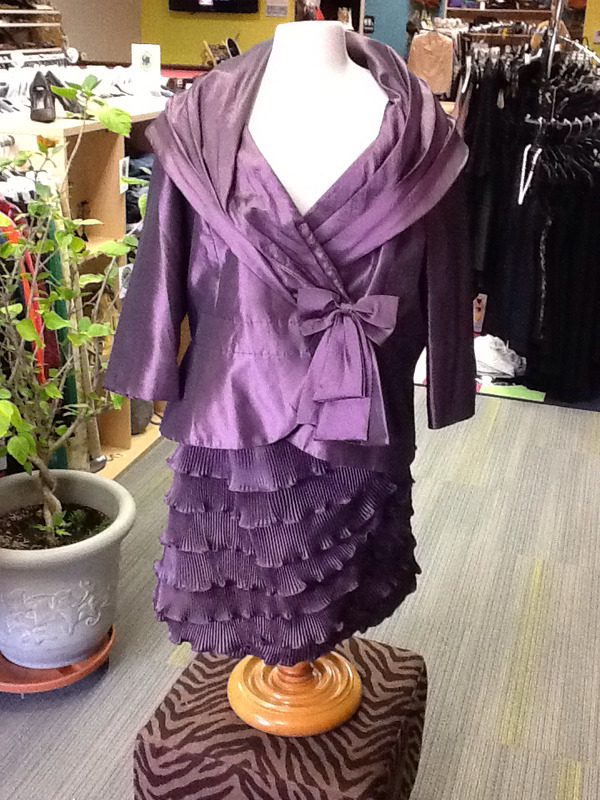 Fully lined jacket with matching ruffle skirt. Pristine condition. Stunning outfit for special occasions! Silk chiffon crepe-like texture (100% polyester).